Great investment opportunity! Three 2 bedroom units located across the street from Pioneer Park and just around the corner from the Paso Robles Event Center. 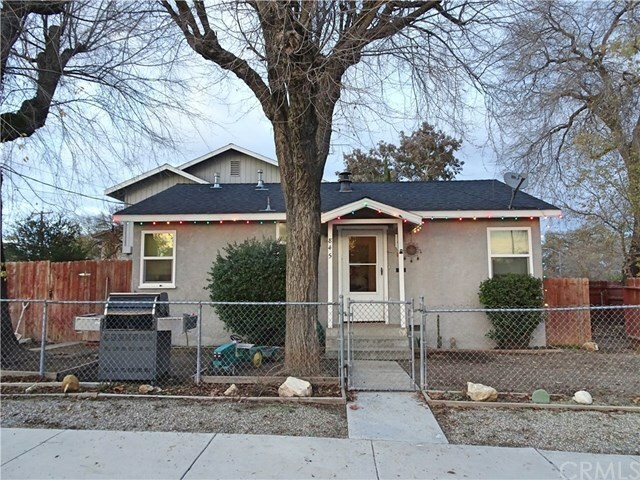 The front unit features 2 bedrooms 1 bath, fenced front yard and 2 side yards with plenty of room for gardening. The back unit was built in 1982 and features 2 units, Unit C is a 2 story unit featuring 2 bedrooms, 1.5 baths a private patio and deck. Unit B is upstairs over the carport and features 2 bedrooms 1 bath, new laminate flooring in the kitchen and living room and new carpet in the bedrooms. New exterior paint, and new windows throughout. Shared laundry and 3 covered parking spaces with additional uncovered parking available.